The night before the marathon was pretty much sleepless. That wasn’t really because of nerves, more an issue of not adjusting to the time change. We’d been in Athens for five nights and I was feeling like a local, but not sleeping like one. The marathon didn’t start until 9:00 AM, but there were some logistics involved and I wound up on a bus at 6:00 AM. It was still dark and I sat quietly with a sense of anticipation, listening to the conversations around me, trying to convince myself that I was rested enough to complete the marathon. There were some people speaking English, a lot speaking Greek, and many other languages mixed in. The two people in front of me went up front to speak with the bus driver multiple times and eventually we stopped the bus so one of them could pee on the roadside. Otherwise the ride was uneventful and we arrived at the start right around 7:00 AM. 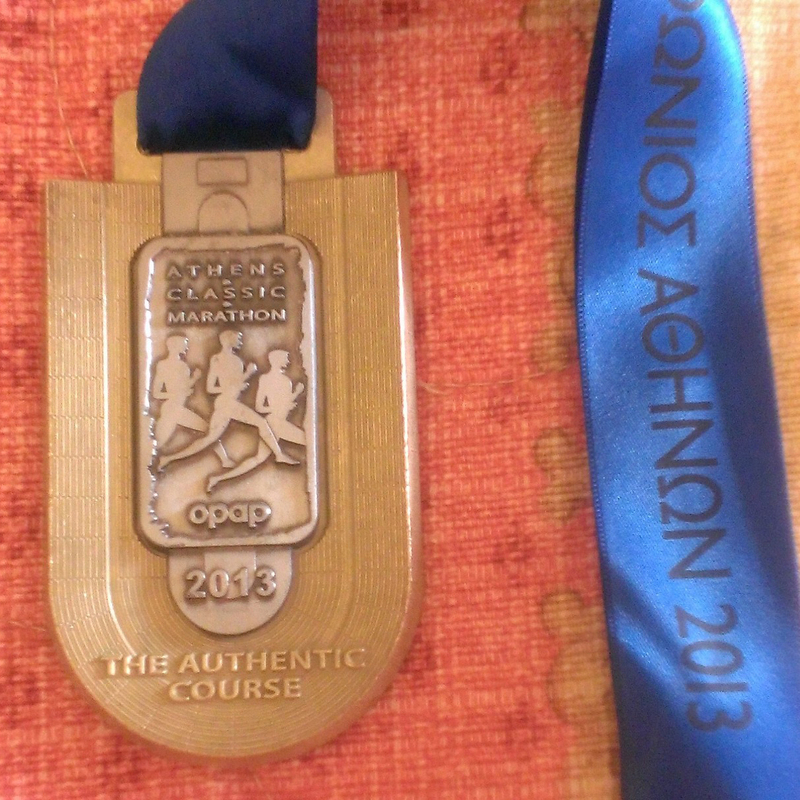 Today as you follow in the footsteps of Pheidippides you will go beyond your limits to honor his memory. It was cold when we got off the bus, but they handed out plastic bags which helped a bit. I located the portable toilets. They were marked separately for men and women. The men’s version had no toilet seat. Interesting. I made my way to the stadium and found a spot to wait where I could be off my feet. I watched people and relaxed. They announced that we had 30 minutes until the start. I dropped off my clothes at the clothes check, peed in the bushes with a bunch of people I didn’t know, then headed back to the stadium which was packed with people warming up. I continued to the start line, where the “blocks” (corrals) were starting to fill. Again we had announcements in Greek, then English. 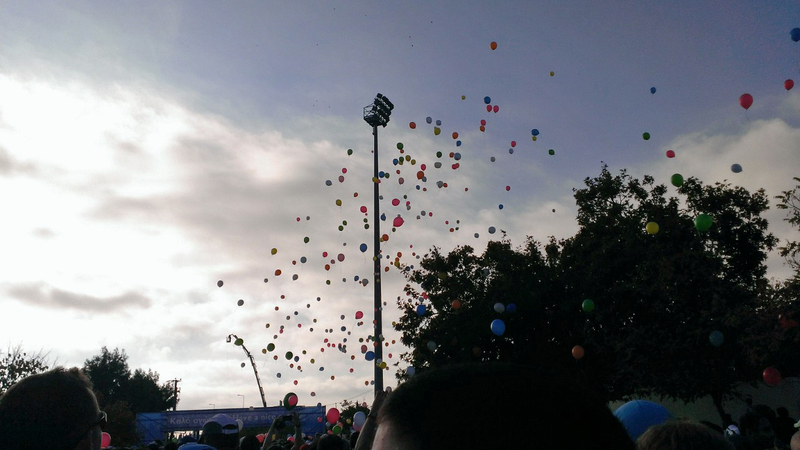 There was a minute of silence for the Boston tragedy (some official from the Boston Marathon was present), then we released balloons. Watch out for one another and have a fine race! 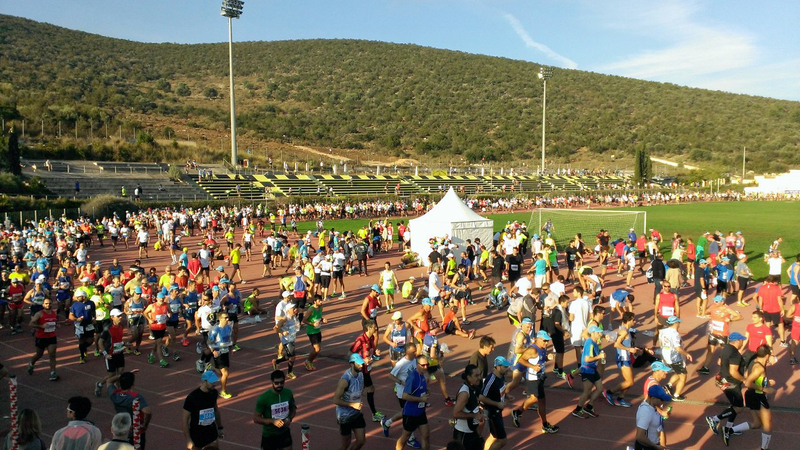 The first two kilometers were packed and slow, but there was a sense of camaraderie and it wasn’t frustrating at all. I was gradually able to speed up to about an 8:00 minute/mile pace and chose someone who seemed to be running at the same speed to help with pacing. He was checking his watch every kilometer and I was checking mine every mile, but the net result was the same. It was warm almost immediately, but the countryside was beautiful. As we passed through each small town, there was a lot music and crowd support. It felt very festive. People were clapping and there were cheers of “bravo, bravo!” Many of the people had medals as they had already completed a shorter distance. Some passed out olive branches. When we reached the 10 kilometer mark, the course started to go uphill and I left my pacer behind. I found someone else who looked strong and stuck with him. The sun grew hotter as we continued up the hill. The course was pretty much as advertised, and was steady (relentless) uphill for 20+ kilometers. At some point, I left my second pacer behind and chose a third. As we passed the halfway point, the hill and the heat took their toll on me. I did a walk break at 22.5 kilometers and lost my pacer. I continued on, taking another walk break at 30 kilometers. 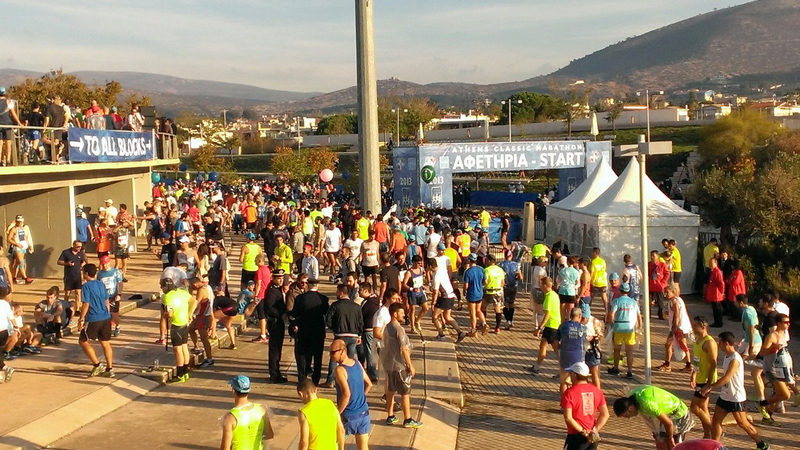 Soon after that, we started the downhill into Athens. There was some shade. There were many people out, but no music. The crowd support was still helpful, but didn’t feel quite as festive. I took my final walk break at 35 kilometers. Somewhere in the next 5 kilometers my watch died and I was totally on my own in terms of pacing. The heat started to bother me more and I couldn’t stomach another Gu. I took Power Ade at the 40 kilometer mark and it did some nasty things to my insides. I powered through it. 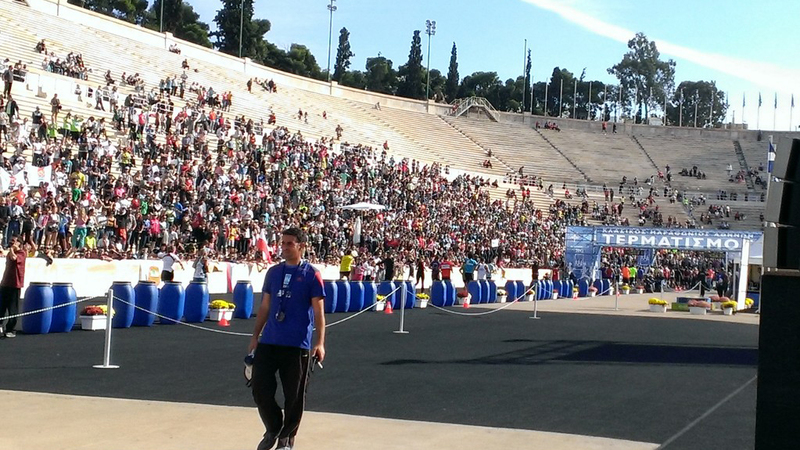 We finished in the stadium where the original Olympics were held. The last 200 meters were on the track. There was an overwhelming sense of history as I entered the stadium and heard the cheers of the crowd. I actually slowed down for the final stretch because I didn’t want it to end. 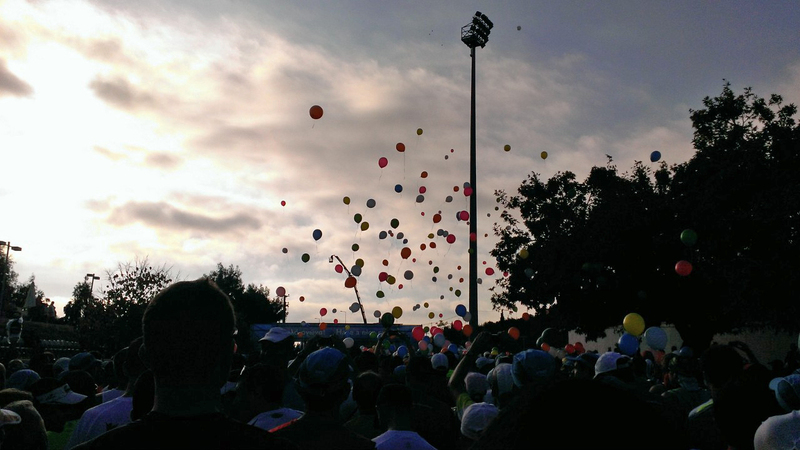 After the finish, we continued walking around the track and received our medals. 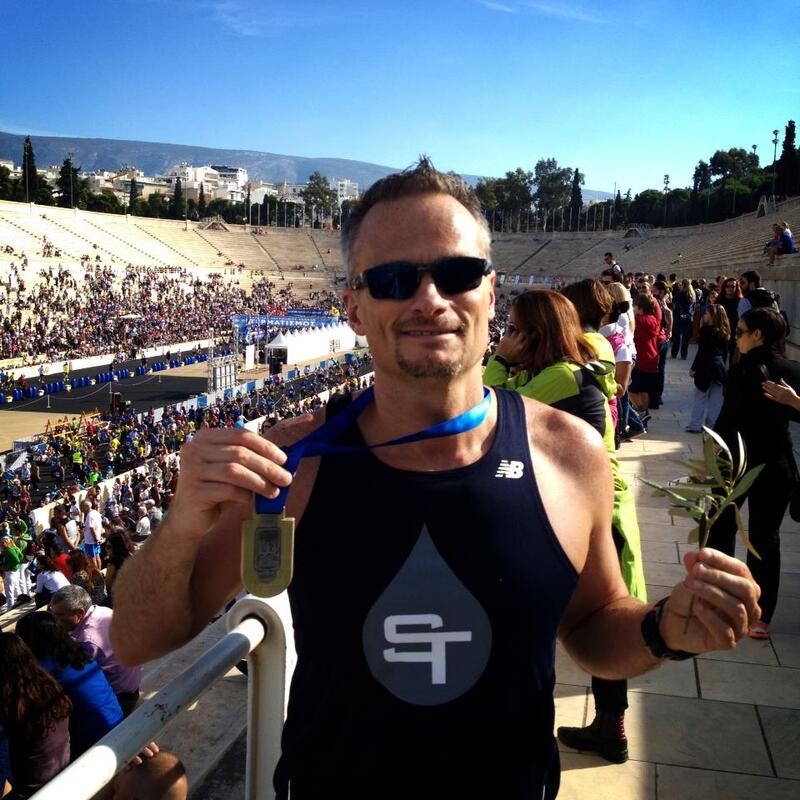 There was a huge feeling of accomplishment, much more than usual (and this was my 48th marathon). There were some tears, then I continued on to some amazing photo ops in the stands. thanks for your blow by blow description of your experience in Athens. I had signed up for it and am looking forward to this marathon since, last year.